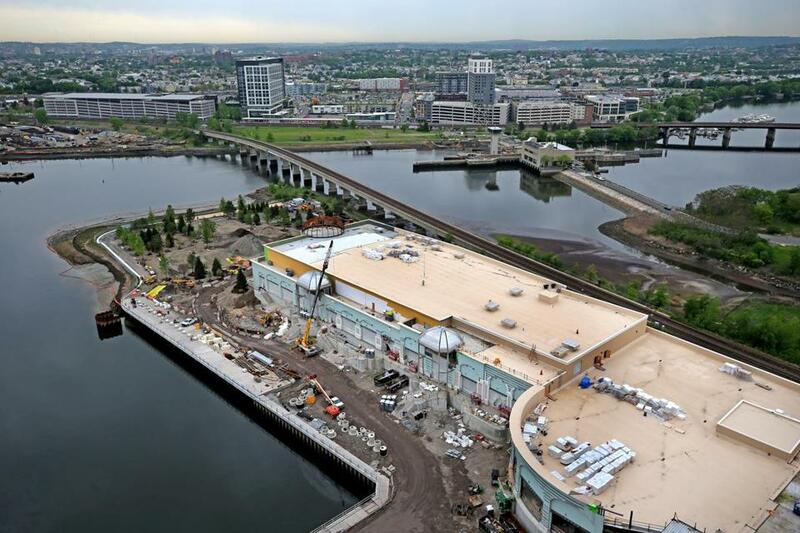 A view of the convention center at Encore Boston Harbor casino in Everett as construction proceeds. Two prominent North End restaurateurs, Frank DePasquale and Nick Varano, are teaming up to run an Italian restaurant at Encore Boston Harbor, the $2.5 billion Everett gambling resort scheduled to open next June. The new restaurant will be called Fratelli, Italian for brothers, and will seat 135 people off the main gambling floor in the 3 million-square-foot hotel and casino, owner Wynn Resorts announced Wednesday. DePasquale and Varano are behind some of the best-known dining spots in Boston. DePasquale Ventures has owned and operated restaurants in the North End for more than 30 years. Its restaurants include Ristorante Bricco, Mare Oyster Bar, AquaPazza, Quattro, Assaggio, Trattoria Il Panino, Bricco Salumeria & Pasta Shop, and Bricco Panetteria, according to Encore Boston Harbor. DePasquale also owns Bricco Suites and SCENE Magazine. Varano Group’s restaurants include Strega North End, Strega Waterfront, Strega Prime, STRIP by Strega, NICO, and Caffé Strega. The menu at Fratelli, the first local restaurant partnership between DePasquale and Varano, will include brick-oven pizza and calzones, panini sandwiches and burgers, homemade pasta, and grilled meats and seafood, Wynn Resorts said in a statement. Fratelli will be one of 13 bars and restaurants in the Everett casino. Most have not yet been announced, although company officials have said they plan to bring Sinatra, a restaurant at the company’s Las Vegas property, to Everett. In April, Wynn Resorts changed the name of the Everett casino, Wynn Boston Harbor, to separate the development from company founder and former chief executive Steve Wynn, who resigned in February amid allegations of sexual misconduct. Massachusetts regulators are investigating the company’s handling of the allegations; the investigation is expected to be done by summer.